Truck Accessories from the Factory or Aftermarket? We can’t resist accessorizing trucks to fit our needs as well as our personality. It’s common to spend another $3000 on accessories after we buy the truck. Trailer hitches, brake controllers, running boards, as well as performance mods to the engine and transmission, add up quickly. Top selling accessories are hitches, exhaust, air intake systems and tonneau covers according to SEMA (Specialty Equipment Marketing Association). This represents a huge market for auto and aftermarket manufactures to battle over. First question is, do you buy the bulk of the accessories from the truck dealer so it can be added to your truck loan at the start, maybe even on the zero interest factory loan, or take your time and shop around. You might have done this with your horse trailer loan, adding some toys to the 20 year LQ loan didn’t seem to add much to the payment. Adding accessories to the truck loan is a better choice than using a high interest credit card to buy all the toys you want for your truck. Truck Manufactures see the Huge Market. Aftermarket manufactures show off their products at the SEMA convention each year. You might have seen some TV programs about SEMA, it’s quite an international affair. Truck manufactures have their latest and greatest there too. Letting the accessory manufactures test the water for new products and then capitalizing when the market is large enough. 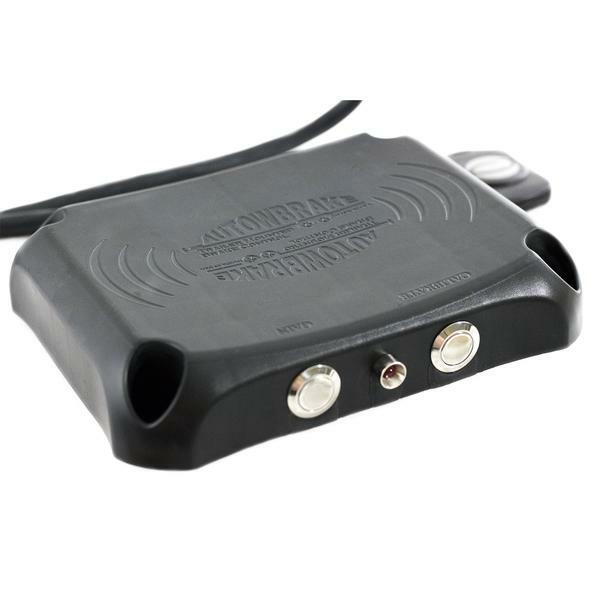 Accessories like tailgate assist, trailer brake controllers, GPS, tire pressure monitors as well as moon roofs all started as aftermarket accessories before their popularity made them a main stream option in your new truck. Even engine performance modules, chips and dual turbochargers on diesels, came from the aftermarket world before making it to a Detroit assembly line. GM’s new integrated trailer brake controller (above) . Readout is in the dash but in the controls are on left side. Ford was first with a factory option trailer brake controller in 2005. The Ford Tow Command was designed with Tekonsha (maker of the Prodigy.) 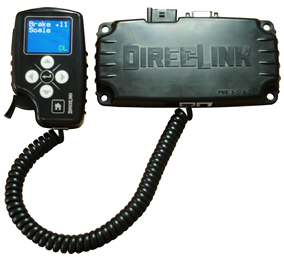 New for 2007, GMC and Chevy have a factory trailer brake controller option in the HD2500/3500, manufactured by Continental (tire and electronics giant.) Their new controller has digital read out in the dash. 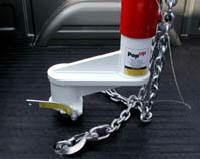 These are great improvements for towing made possible by the aftermarket companies who pioneer ideas. Ford’s new 2008 F450 pickup is ready to go with a factory 8 ft. bed instead of an unfinished Cab & Chassis that had to have a bed added or as part of a conversion from aftermarket companies like Western Star, Classy Chassis and Laredo. The 2008 Ford Super Duty has optional bed extenders that fold into the walls and a step that pulls out of the tailgate. 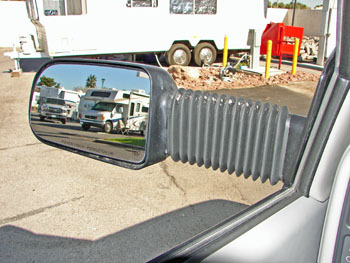 GM had and now Ford has power extending tow mirrors that started as an aftermarket product. Versions of these “new ” options could be seen at SEMA in years past. Truck manufactures leave plenty of room for improvement, which is where they help aftermarket companies flourish. It is a two way street. Especially for folks using their trucks to tow heavy trailers. Truck prices would be astronomical if they were built for extreme use. 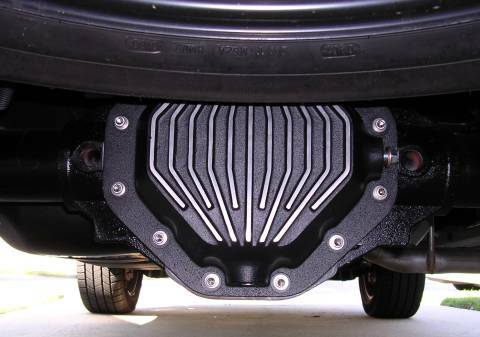 But you can add aftermarket transmission pans and differential covers for more oil capacity, cooling the stress of towing. Larger air filters and exhaust relieve some of the strain of towing in the mountains along with aftermarket transmission torque converters and exhaust brakes. One of the first accessories I see added to trucks is a Cold Air Intake (CAI). This replaces the factory air filter, box and tube going to the intake manifold. Colder and higher volume air is the goal. Diesels require 18,000 gallons of air for each gallon of fuel. aFe intake systems are permanent filters. You just clean them, treat them with a special oil and keep on using them.A new trend with air filter systems is the new aFe Pro Dry S Synthetic Dry-Media Filters that are cleanable but not treated with oil. Both types allow more air flow than stock paper air filters providing improved throttle response, horsepower, torque, fuel economy and can last over 100,000 miles. aFe exhaust in stainless or aluminized. Another top 10 accessory is cat back exhaust, emission legal. Less restriction will decrease turbo heat to lower Exhaust Gas Temperatures and give you better throttle response. Four or five inch mandrel bent tubes and high flow muffler are more efficient that factory restricted exhaust systems. Aftermarket chips, modules and downloader’s such as Superchips and Edge, can increase the diesel line pressure and change engine timing. 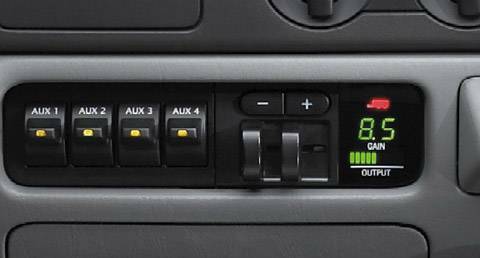 When a truck manufacture increases power in a new model, they do much of the same.Improving your trucks horsepower and torque with hand held tuners like Superchips or a plug in module like Edge, is the fastest and cheapest way to add that power. But extra power causes extra heat, which is why it’s important to use an aftermarket (cold air intake) kit to increase the volume of air going in the diesel engine as well as aftermarket high volume exhaust to get the hot air out. And to monitor that heat, you’ll want to include a gauge (Pyro) for Exhaust Gas Temperature. Superchips can change transmission shift points, read engine codes, and calibrate odometer for different tire sizes. ATS torque converter for an Allison Automatic behind a Duramax diesel. ATS Diesel Performance, specializes in torque converters and transmissions. Bigger trailers and diesels themselves are hard on transmissions. The first to go is usually the clutch with a manual transmission or torque converter with auto transmissions. 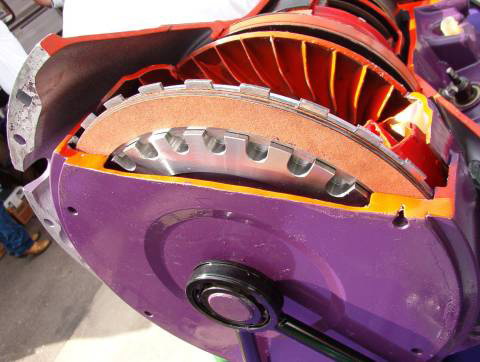 ATS has a 5-Star viskus clutch drive torque converter for 100% mechanical engagement for more power from the engine to the tires. B&D Performance, PACBRAKE and Banks make exhaust brakes. 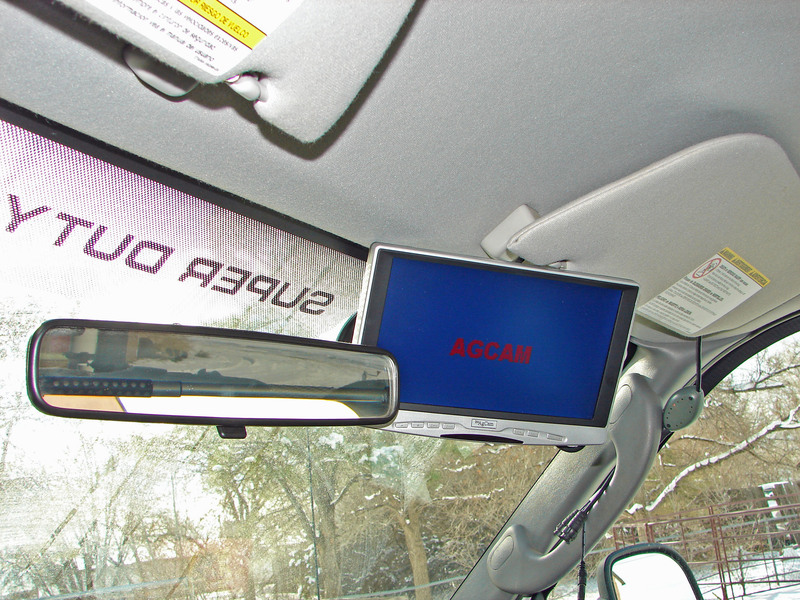 Popular accessories in the mountain states and a factory standard on the new 2007 Dodge 3500 HD and all GM C4500/5500 trucks. 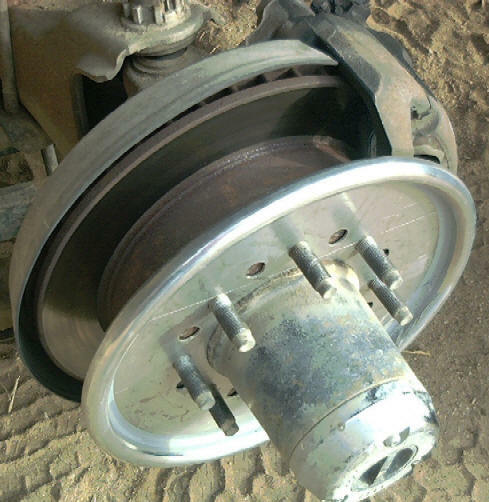 Semi trucks have engine brakes to slow down and save their brakes. Exhaust brakes work a little different but still will slow you down on the fast side of the mountain. 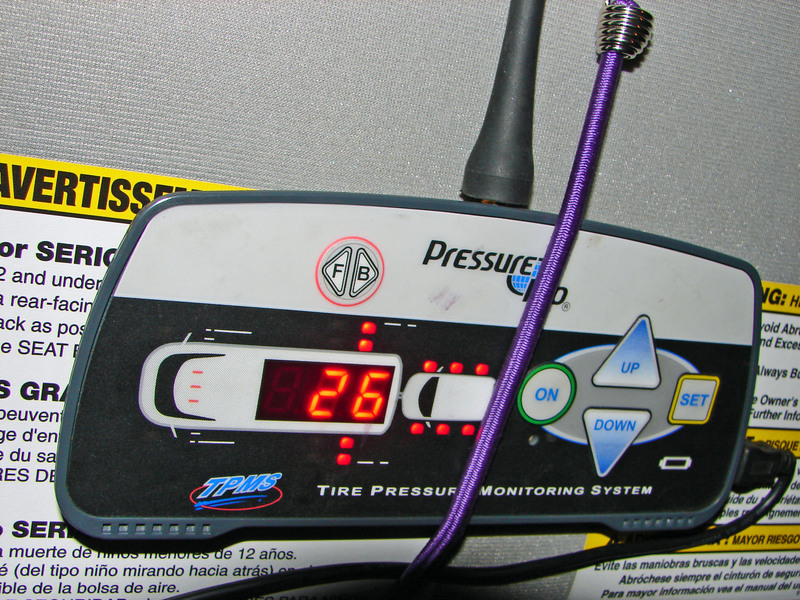 Factory tire pressure monitoring is an option for 2007 in most trucks, as it is mandatory in new cars for 2007. 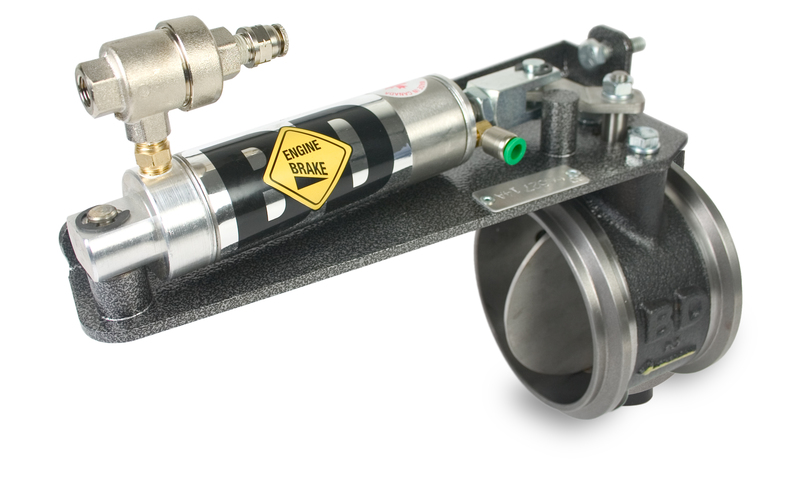 An aftermarket option is Pressure Pro, for your truck and trailer. Pick your reason, the cost of tires, safety, calm horses, or just changing a tire in the middle of the rain or freeway during rush hour. Tires are something we constantly worry about on trips. 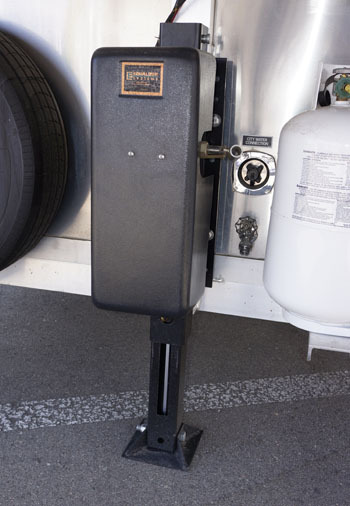 Pressure Pro has an advantage by being portable between trailers and different tow vehicles. 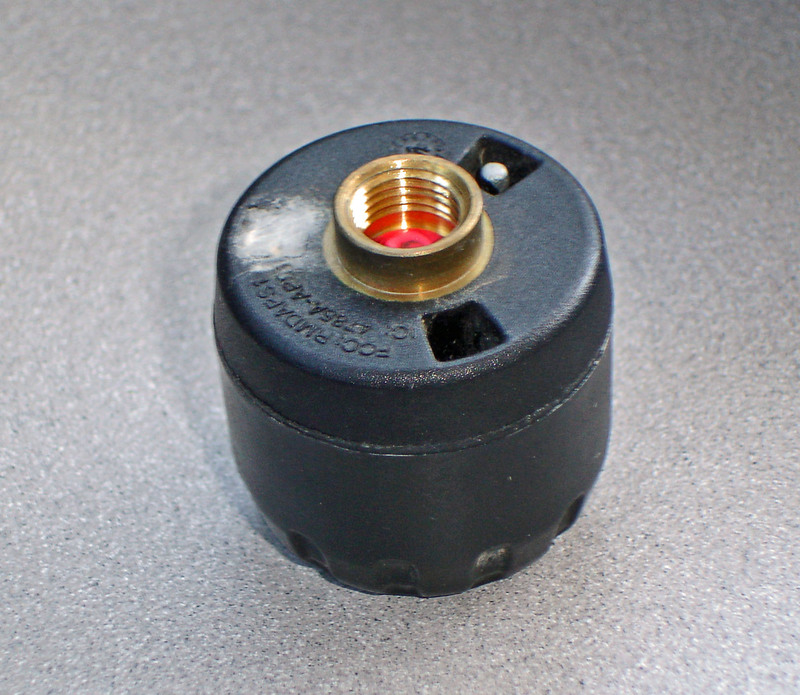 The transmitter replaces your valve stem cap. 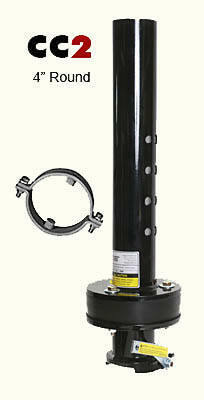 Titan exhaust air jack. Inflate the air bag jack with your trucks exhaust. Comes with a fire proof hose and valve. I could have used this in Colorado to lift my truck off the snow banks this winter. Works for trailers too. Popular in Australia.GO Weld, (right picture), may not be your first accessory choice, but it’s cool. 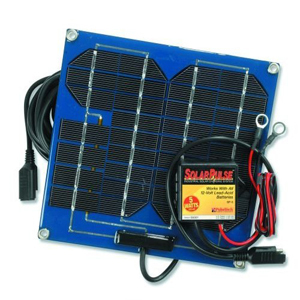 Imagine being able to plug a wire feed welder into your trucks batteries and then go back and weld on your horse trailer broke down on the side of the road. GO Weld’s are on many Humvee’s in Iraq along with plasma cutters for repairing military trucks. This was the winter to remember in Colorado. So snow plows ,were among my favorite article reviews this year. SNOWSPORT from ACI, the tonneau cover folks, is a strong plow. 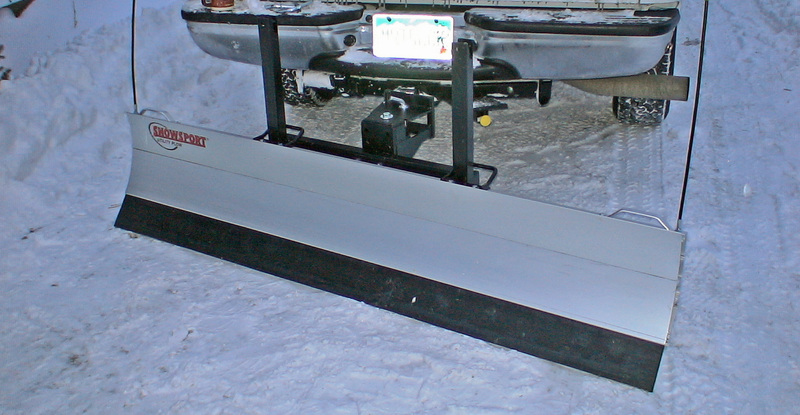 It’s a extruded aluminum residential seven ft. plow that works keeping your lanes clear. No hydraulics, the plow angles and lifts by hand. You drag it backwards instead of raising it. ACI Agri-Cover ACCESS Roll-Up Covers can protect your bed and cargo. Sizes to fit a crossover tool box or full bed. Power Vision electric extending mirrors. Towing mirrors have to be good. Can’t get more convenient than pushing a button to bring the mirrors in. It’s convenient moving the mirror in and out, finding the blind spot. Power Vision was a factory towing mirror for GM for a couple of years. Popup Industries Flip-Over hitch. Trucks are for towing. 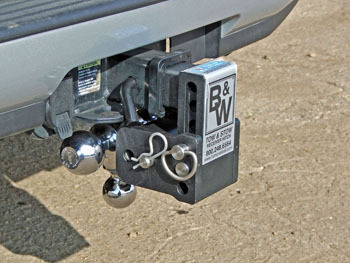 Since the ball base is round, it stays easy to pull out of it’s socket by hand to switch ends and have your truck bed floor to use again. 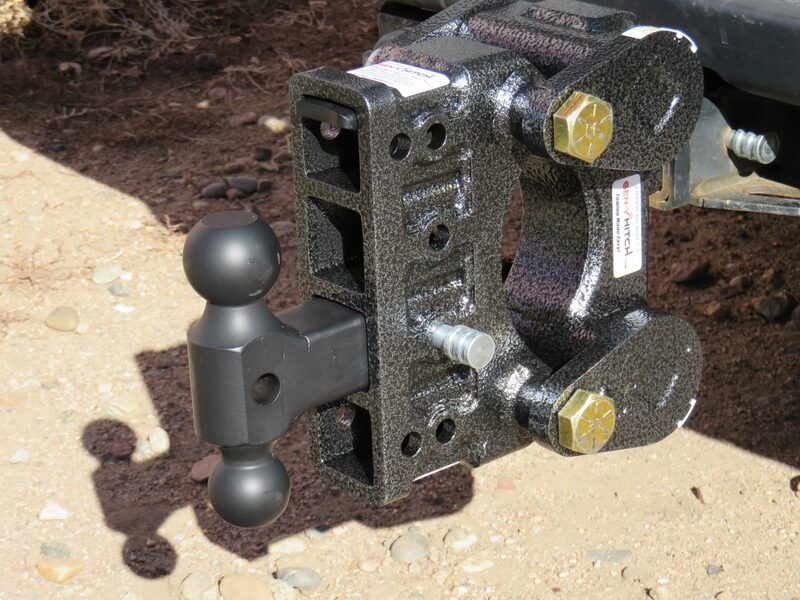 I’m seeing a lot of folks switching from 5th wheel couplers to gooseneck ball couplers because of the ease of use and being able to use the truck bed without wrestling the 5th wheel coupler out of the bed. The Flip-Over Ball is locked in the one-piece ball socket with a spring loaded stainless steel pin. 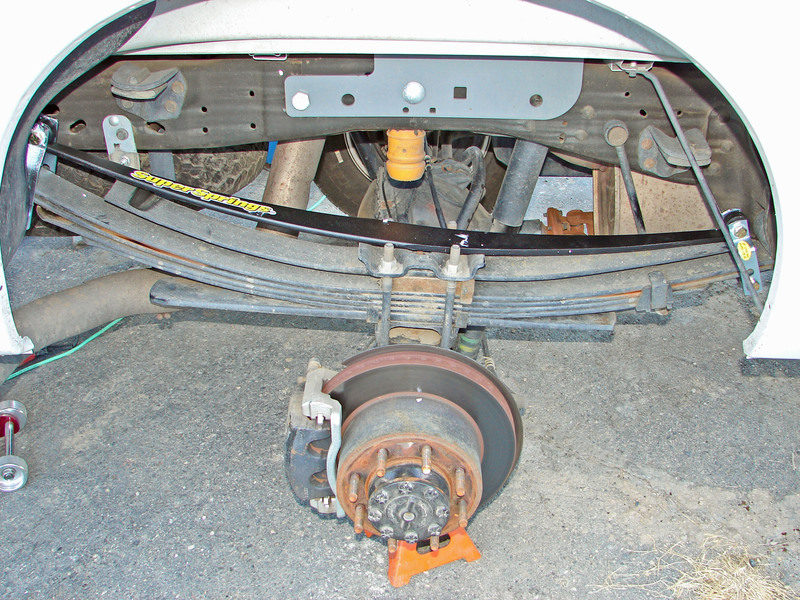 To invert the ball, just reach into the driver side rear wheel well and rotate the actuating rod 90 degrees. This cams the retaining pin to the open position. Invert the ball, and rotate the actuating rod back to its original locked position. 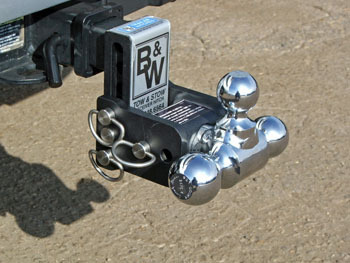 B&W’s Stow and Go, With 3 ball sizes and height adjustment, it’s just what I need with all the different trailers I tow. And just what we’ve asked for, it tucks underneath itself so you don’t knock your shins on the ball when you aren’t using it. It rated for Class IV at 10,000 lbs of trailer and maximum 1000 lb tongue weight. They even come in Mossy Oak camouflage or the Browning logo with 3 sizes, 6″, 8″ or 10″. SuperSprings; If your truck works for a living. Trucks ride dramatically better than they did in the 70’s and 80’s. Part of the reason is the longer rear springs. This softens the ride but also will make a loaded truck sage more when loaded and lean more on curves. Not exactly want you want towing a trailer at your trucks trailer towing limit. Some truck manufactures have stopped using rear stabilizers too. Empty trucks needs anti-sway rear stabilizers for cornering and better handling. SuperSprings can do that for you as well as level out your loaded truck. 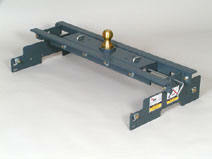 PML pans and covers; Towing trailers, means changing your trucks fluids more often because of the extra heat generated. 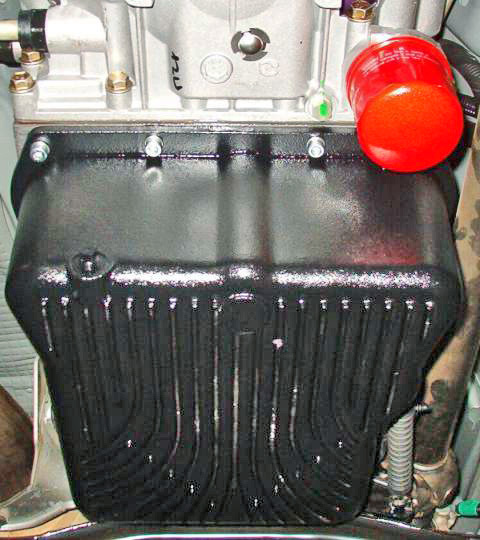 Having extra fluid in your transmission pan and differential covers, cools the fluid with PML. The outside and inside fins help cool also. GPS has been around a long time now. It’s a factory option, most with a 7 inch screen. Delphi’s NAV200 has a 3.5 inch touch screen with less dash space lost, on an aftermarket GPS. CoPilot’s Laptop 10 version lets you use your computer for a larger screen. I seem to always have my laptop with me on long trips. I’ve used GPS to keep on track finding a gas station every 200 miles when using a gas guzzler towing.I’m spoiled with GPS. I use it mostly to find streets that are coming up and in the mountains, especially at night, I can see the upcoming curves. AgCam from Dakota Micro has a versatile camera system with magnetic base camera’s for watching your trailer coupler as you back up. And then stick the camera in your horse trailer, see who’s behaving. The camera’s are bullet proof, water proof, have infra red and night vision. I use mine to checkout new products, like how much mud flaps sail at 70 mph. Originally built to monitor farm machinery like combines. Aerotravel roof wing by Wingmaster, for the same reason semi-trucks have them. 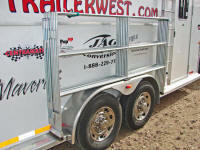 Aluminum or stainless steel, the sharp looking wing directs air up and over your trailer nose. Wingmaster claims a 10% improvement to fuel economy towing. 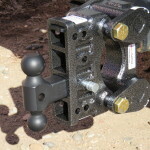 The frame clamps to your trucks roof seam inside the door. No holes and you can take the wing off fairly easy. 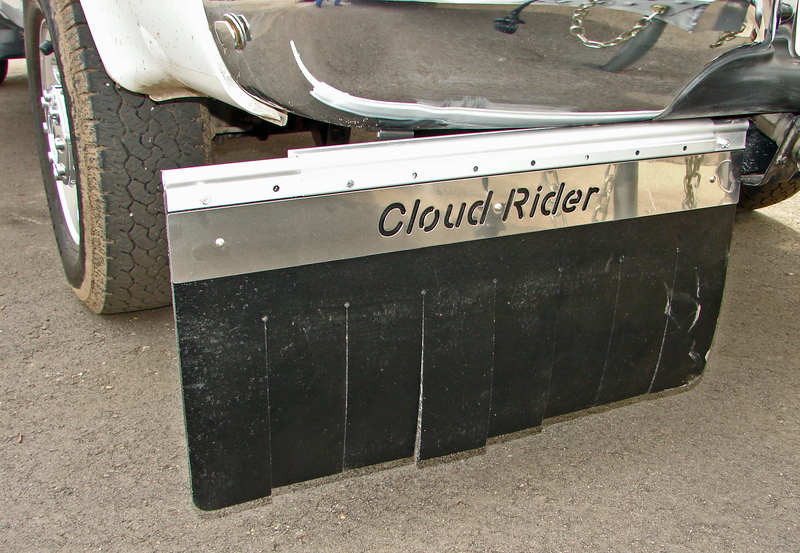 The Rear-Guard from Cloud Rider, extruded aluminum mud flaps. 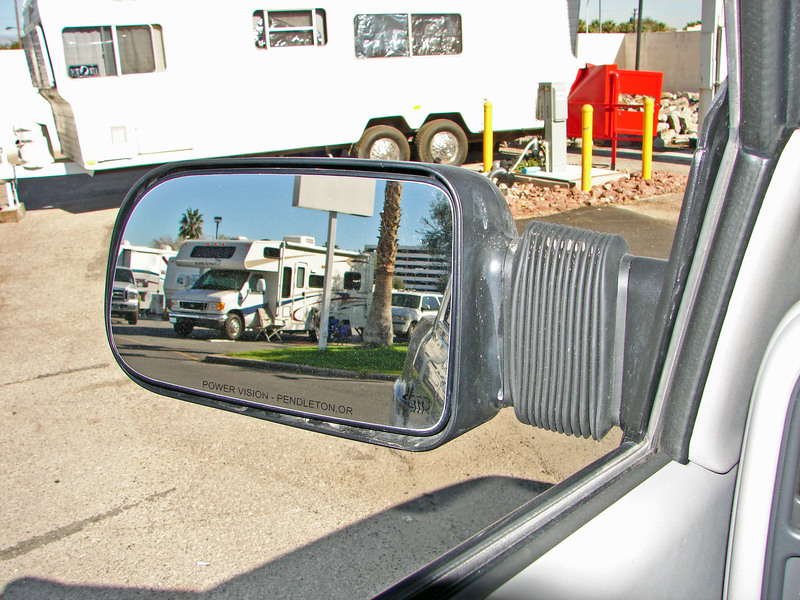 Mud flaps protect your trailer resale value and the worry now is the extra drag, costing you fuel mileage. 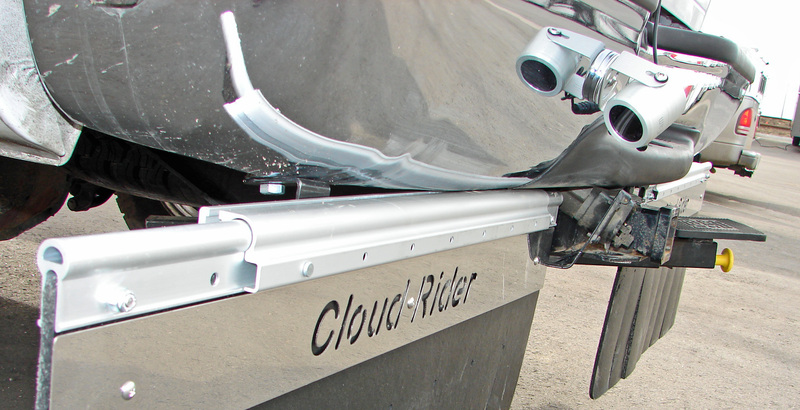 With Cloud Rider, pull a pin and take them off when you’re done towing. Installation is easy using the existing holes in the bumper. DeBo step, my knees didn’t use to hurt climbing on the tailgate. 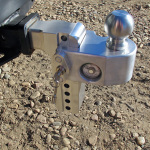 This step attaches to the receiver hitch frame not in the hitch. So you don’t have to remove it to tow a trailer. 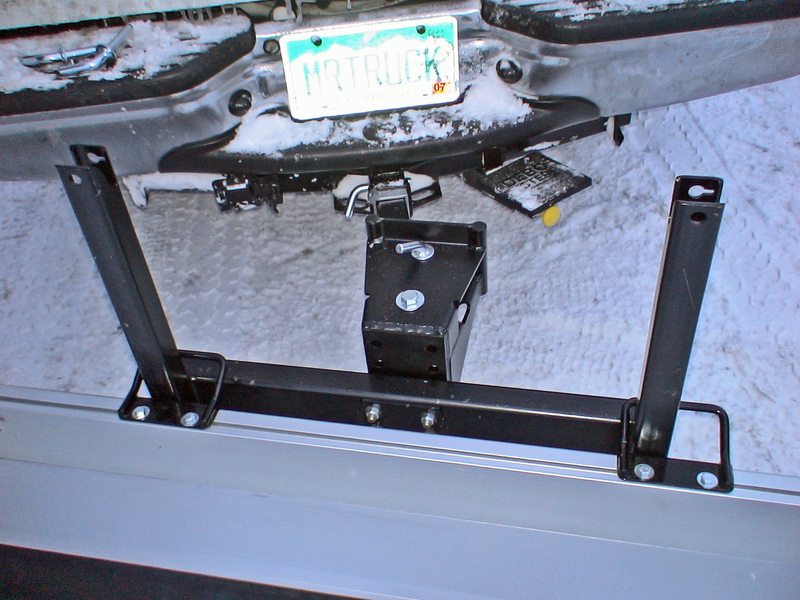 It supports 400 lbs, so I can keep my boots and belt buckle on and use it often getting in the truck bed. Your Online Pickup Truck, SUV & Trailer Resource Magazine.